Woman – A change agent! A woman’s idea, power of creation and belief that motivates her to achieve her own individuality in this world makes her a change-agent. Sapna Mansukhani was working with a large corporation in a comfortable position, far removed from the world of home décor and design. 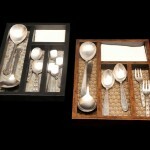 Around 2008 when Sapna Mansukhani happened to see a tray with brocade inlay, at a cousin’s house. 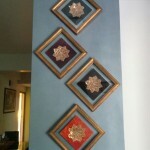 She loved the design and wanted to make a similar one. 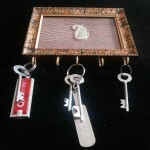 Once she was back home she started work on it, personalize it by adding a certain fabric and other design elements. 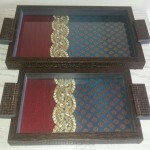 When her cousin saw her design, she requested Sapna to make few pieces for her to be given away as Diwali gifts. 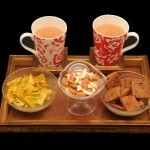 The Diwali gifts were highly appreciated, and request began to come in for the brocade inlay tray with coasters. 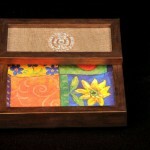 Such encouragement led to more ideas and Sapna decided to take her ideas and products further. 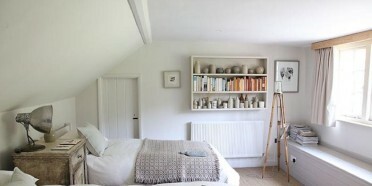 By now she had realized that her passion lay in home décor, rather than corporate boardrooms. 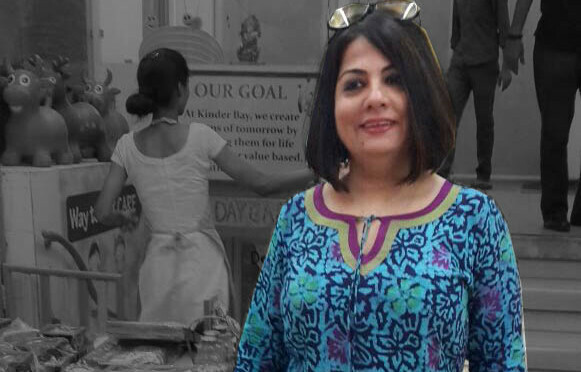 Sapna quit her rather cushy job and started out on her own, calling her business, ‘Dream Creations’. 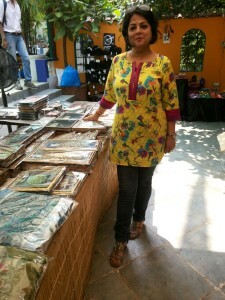 Sapna received offers to take part in exhibitions and this propelled her to design a wide range of home décor items. 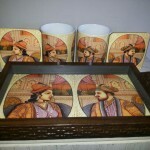 Trays, coasters, cutlery boxes, tissue boxes, mural art, mirror with designer frame work, platters, photo frames, key holders, wall clocks, paper stands and a lot more began to fly off the shelves in no time. 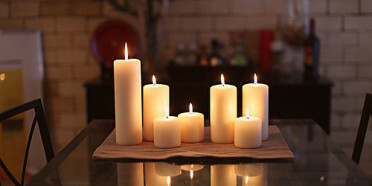 Sapna’s business has spread through word of mouth and she now supplies her products to home décor stores. She also takes up wedding orders and corporate orders during festival season. “A woman is powerful and full of often-untapped potential. Within every woman lies the power of creation. So think bigger, stay determined and turn around to achieve success.” says Sapna. 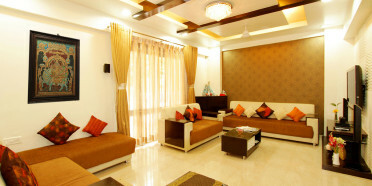 One can buy Sapna’s products exclusively here.